Bounce N Play parents know that when open play is scheduled, so is a ton of fun! Our indoor kid’s play area in Astoria, NY has a little something to offer everyone. 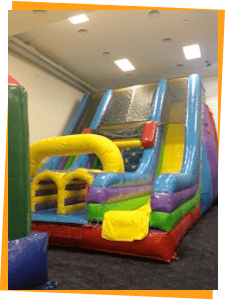 From our bounce house to our giant gym, and from our arcade to our toddler area, there won’t be a bored kid in your family or group. Whether it be holidays or any day during the week, we try to schedule open play as often as possible. Find out more about our different open play sessions below and plan your next visit to Bounce N Play! Check out times for Our open play. Click on Link above! It’s time for a little school break! We will add more open play sessions during school holidays. Contact us, for details, or check out our calendar to find upcoming holiday hours or events. Enjoy Unlimited entry for one month! Occasionally, when we have a slot that is not booked for a party on the weekend, we will open the slot for Open Play.Our parties are totally private, so when there is a party, we do not allow the public to enter. So, what does all this cost and include? 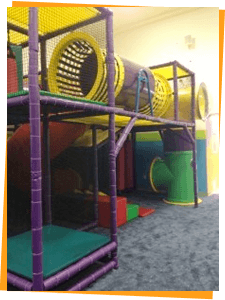 Bounce N Play offers affordable family fun that your kids are sure to enjoy time and time again. Admission is just $14 per child. Admission Includes: 2 adults per child (each additional adult $5), and children must be accompanied by someone 18 years or older. All prices subject to NY sales tax. Sorry, no outside food or drinks are permitted. We may open up additional sessions, call to check or check our online Events Calendar for the up-to-the-minute schedule!